The Duke of Cambridge has spent three weeks of his time with the MI5, MI6 and Government Communications Headquarters in Cheltenham. Prince William recently spent three weeks with Britain's intelligence department, MI5, MI6 and Government Communications Headquarters (GCHQ) in Cheltenham, learning to be a skillful spy with gadgets and what James Bond 007 would have been exposed to in films. During his tenure, the Duke of Cambridge got the first-hand experience of the challenges faced by the organisation on a daily basis as intelligence officers were seen addressing the Duke as "Will". 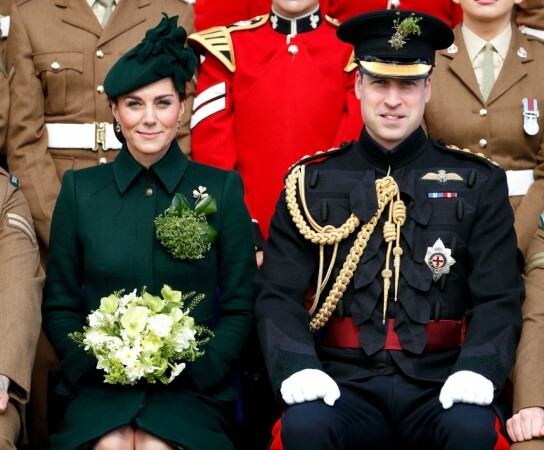 Since Will is a member of the Privy council, he was not forced to sign the Official Secrets Act but he was instructed to not discuss details of assignment with anyone, not even with his wife, the Duchess of Cambridge. Though Will was allowed to return home daily, he had spent the last week overnight at GCHQ in Cheltenham. "Spending time inside our security and intelligence agencies, understanding more about the vital contribution they make to our national security, was a truly humbling experience," Prince William said in a statement. He further said that these people work in secret, unable to tell their family and friends about the work they do or the stresses they face and described it as unrivalled patriotism and dedication to the country. The Duke spent three weeks in total at the secret service. The first week the Duke was with the Secret Intelligence Service – MI6, where he got a first-hand experience of how the agency develops foreign contacts and gathers intelligence. His second week was with MI-5, the agency that is known to work against terrorism. Prince William spent his last week at the Government Communications Headquarters in Cheltenham, "using cutting-edge technology, technical ingenuity and wide-ranging partnerships to identify, analyse and disrupt threats," the statement said. "William worked exceptionally hard to embed himself in the team and comfortably held his own amongst some highly skilled analysts and operators," said David, GCHQ's Head of Counter-Terrorism Operations. He further added how the Duke asked some probing questions and demonstrated "problem-solving skills needed on a daily basis to help keep the UK safe."